…these are the days of internet wars. I have seen several individuals who deliberately launch a negative campaign against a particular brand for what so ever reason. 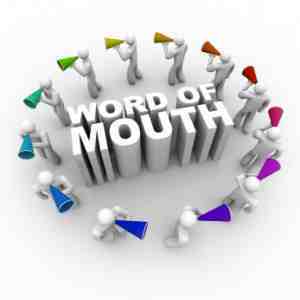 One of the major characteristics of the Social Web is its amplified word of mouth marketing. This may be a situation where someone writes a review in favour of a particular product or service and then the article receives hundreds or even thousands of hits. This amplified word of mouth scenario can even be seen on Facebook, twitter and other social platforms with just one person making a positive comment about a product and then others automatically decide to give the concerned product a trial. Despite the numerous positive effects of the word of mouth marketing, the table may sometimes turn against your brand. This can also come in a situation where someone publishes/posts a negative comment about your product or service and then receives tons of traffic with numerous visitors/friends/followers helping spread the negative comment. In this case, the comment may either be true or false. Whether you agree or not, these are the days of internet wars. I have seen several individuals who deliberately launch a negative campaign against a particular brand for what so ever reason. Be vigilant: How will you know whether there’s an internet war against your brand or not if you aren’t vigilant enough to discover such? You cannot stop what you are ignorant of. Therefore it is crucial to always monitor what people are saying about your brand across major Social Media platforms. One of the major Social Media functions is Monitoring. There are several tools that are available (free, freemium and paid) to enable you monitor your brand. It is also important to create Google alerts for major keywords associated with your brand (e.g. the name of your company, alias e.t.c.). When was the last time your Googled your company name to “see what Google is saying about you”? Confront your Issues: If you care so much about your brand, then try as much as possible not to ignore the comments people post about your business. Confront, Correct and Apologize as need be. In many cases, comments (be it negative or positive) forms a major part of your brand perception. So, take control of your brand perception. Give room for complaints: When your customers are dissatisfied with your product/service, the first thing they are likely to do is tweet about it. While this may not be independently controlled, it can be managed. A deliberate campaign soliciting for customer complaints is very crucial. You can do this by simply optimizing your Contact page or creating a blog that strongly encourages user feed backs. Another good way to manage this is to ask your users to tweet at you or drop a Facebook post on your wall when they have issues with your product or service. Once this is done, ensure you respond promptly to their complaints. With a strong positive reputation, you can always smile to the bank. The internet, as potent as it is, may either help you build a strong reputation or dent it. So, take charge!